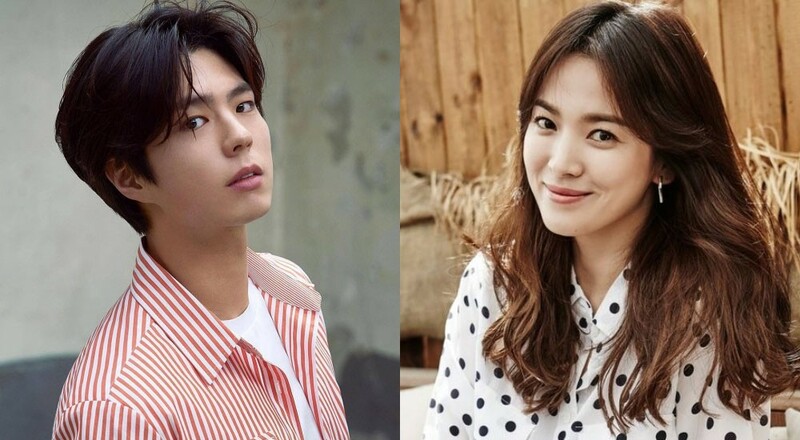 Park Bo Gum's agency Blossom Entertainment has confirmed that the actor and co-star Song Hye Kyo began filming their much anticipated drama "Boyfriend" on September 2. The actors sat for their first table reading back on August 23 and have since moved on to the next phase of production. "Boyfriend" has been steadily gaining attention as it is the first romantic drama the two popular actors will star in together. The story follows politician's daughter and her romance with an ordinary man following her divorce. The screenplay was written by Yoo Young Ah, who previously worked on the 2016 drama "Entertainer." Meanwhile, the first episode of "Boyfriend" is set to air this November. He looks great with the long hair, and SHK is looking good too. So excited that filmin has finally started! Aww, we're gonna see him graduate? Not sure it’s an edited pic or a real one . Seeing the bts pics has added to my excitement! Bogum is rocking that long hair and even if the picture has poor quality (probably zoomed in to capture SHK better), SHK looked beautiful. The visuals of this drama is off the charts. I really am curious about their love story.